When I was wedding planning (in 2008/2009), I started a website to gather all my wedding DIY projects/details and really liked updating it. After the wedding, I missed it. Besides TV watching, cooking and baking is my favorite hobby and since I love reading other people’s food blogs, starting my own was the perfect solution to fill my void. Mostly, it is a way for me to keep track of my favorite recipes, but I LOVE that other people read it. I really enjoy food and seeing someone else pin one of my favorite recipes makes my heart happy. My family is a huge part of my life. As I mentioned, I got married in 2009 to Mr. Williams. No kids for us (yet? ), but we do have two bad cats. I’m the oldest of four kids with three younger brothers that I’m very close to. My cousin is one of my best friends. My parents are amazing. Family = ♥. I live in Metro Detroit. We really get a bad rep (anyone see this article? – three MI cities made the top ten list), but I promise it isn’t all doom & gloom around here. 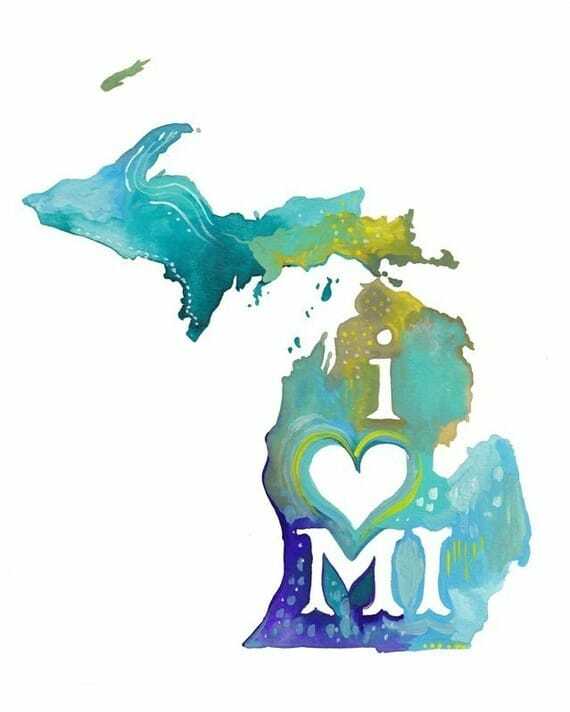 I love Detroit (my banner is a photo of the Detroit skyline that I took last year) and I love Michigan. Let’s see if I can narrow it down into categories. These are either personal favorites or my most requested by friends and family. That was hard. If I don’t like it, I don’t blog it, so it’s safe to say all the recipes are pretty delicious (at least in my eyes). Oh yay! A food lover! AND one who posts pretty pictures of food. Thanks for linking up so I could find you!